Well it’s about time for 8 Limbs to expand, add another kid to the family. Ever since we opened in 1996 we’ve added another studio every 3-5 years, and at this point we’re long overdue––8 Limbs Phinney Ridgeopened in 2009! 8 Limbs started on Capitol Hill, a one-room walk-up at 500 E. Pike St. It was sweet, it was thriving, it was enough! I enjoyed life as a single-studio owner. I took yoga workshops. I went snowboarding. I taught a lot of yoga. But when Samadhi Yoga opened a few years and just seven blocks away, it was time to put some eggs in another basket. Opening 8 Limbs Wedgwood in 1999 allowed me to spread the risk, meet new students, and focus on another neighborhood. At the time I was the only one running 8 Limbs. I lived close by in Ravenna and loved getting to know a new community. Within the next year I got married, bought a home in Madison Valley, hired a manager, expanded the Capitol Hill studio, and had my first child Lily (now a 15-year-old! ), but five years later I was ready again, this time for 8 Limbs West Seattle. 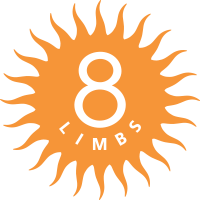 The third 8 Limbs opened in early 2005, cost an arm and a leg, and was quickly followed by my second child Coco. Things got a little nutty there, but one thing I learned, in vivid detail, was the downside of expansion. I’d stretch too far, and had to come down to size. West Seattle went down from two rooms to one, and 8 Limbs has been a different business ever since. When 8 Limbs Phinney Ridge opened in 2009, with a lot more foresight and our Executive Director Ashley Dahl on board, well, the truth is it felt like the final kid in the pack. I don’t like to make absolute statements, but I do believe that 8 Limbs is a complete family. Four studios is wonderful. Four studios is enough. Our focus now is on making everything within those four studios better and deeper. But we do have a big launch to announce, instead of an April Fool’s promise of a new location. Over the past year we have shifted our expansive energy to the careful, intentional, painstaking creation of a brand new website. We love our old website––we know some of you do too––but it’s time to launch a mobile responsive site that will take us into the next few years. Countless man and woman hours have gone into the site architecture, planning, design, and transfer of content so that you can find what you need, quickly, and we can manage our content, easily. We’ve considered your needs, and we’ve considered our needs, and what you’ll see in a few weeks is what we really believe is a site that will make all of us happy. Anything new takes some getting used to. Bring your patience and a few deep breaths to the site and everything will go just fine. The home page (pictured above left) is one long stack of “blades” that are access points to our website: drop-ins, series, new to 8 Limbs, promos, the 8 Limbs Blog, and teachers. All of these landing spots can also be navigated to with the upper nav bar, which will live in the “hamburger” symbol on a mobile device (upper left corner or image at right). To go directly to the Drop-in class schedule click “SCHEDULE” on the far left of the upper navigation bar to get all four studios in one view or scroll down to click instead on your neighborhood location. If you take a few leisurely minutes to explore the site before you need to find something quickly, you’ll find that everything on the old site is still there, but possibly in a slightly different place. We plan to go live between April 13 and 17. If you need help, we’re here for you. Ask a front desk person, a manager, and we’ll do our best to find you what you need. Have a comment or question about the site? 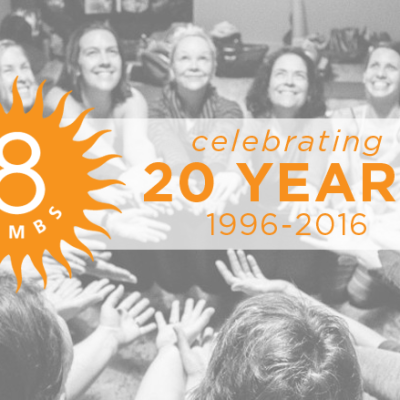 Email info@8limbsyoga.com and we’ll get back to you as quickly as possible. And Happy April, it’s gorgeous out there! This post comes from the 8 Limbs April Newsletter. Click here to receive our monthly e-news right to your inbox.